I am enjoying these lectures immensely. 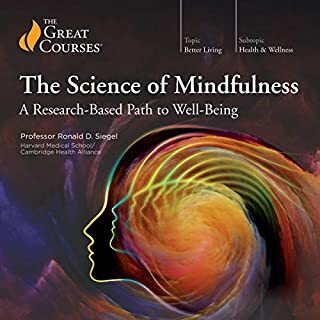 The lecturer is entertaining, easy to listen too and whilst the subject matter (psychotherapy and mindfulness meditation) can get a bit deep, he tries to relate it to everyday experiences making it easier to understand. My only complaint is that an integral part of this learning experience is to be able to practice what he lectures on. Unfortunately, Audible seem unable to supply the audio that should accompany this series of lectures. This means that guided meditations and deeper explanations of the subject matter are lost to the listener. Disappointing!